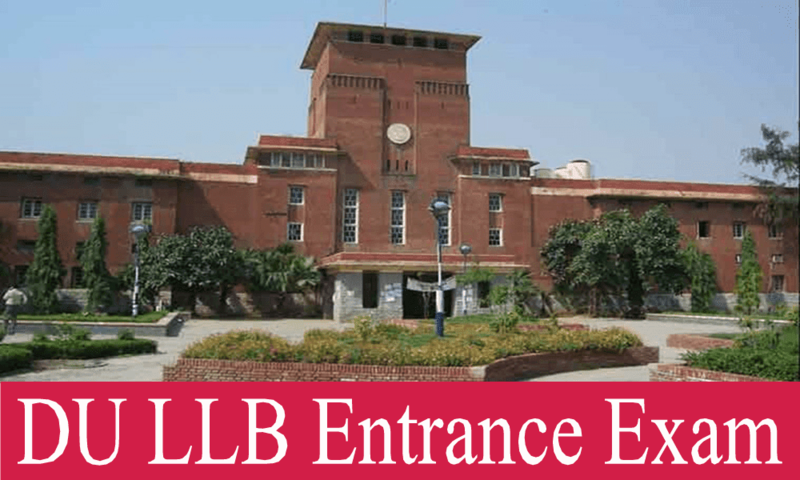 This article will give you details about entrance into the BA.LLB and BBA.LLB courses at IP university and Jamia Millia and a glimpse of life at these two universities. To begin with let us remember that there are 11 law colleges under the aegis of Guru Gobind Singh Indraprastha University and the entrance exam for all these colleges is the same. This entrance test is called the CET or common entrance test. The total number of questions are 150 and the marking system is such that every correct answer will get you +4 marks and for every wrong answer 1 mark is deducted from the total score. This means -1 mark per wrong answer. The total duration of the exam is 2.5 hours or 150 minutes. Let us now look at the list of the 11 law colleges which IP University covers and life at these colleges. The total seats for the BA.LLB course is 40 seats and for BBA.LLB course the total seats are 20. So, in all there are 60 seats for law in this college. The faculty is great and besides classroom teaching there are seminars and workshops on burning issues such as women and law, and climate change among other topics. For all seminars there is the seminar hall which is full capacity. Plus there are a conference hall and an auditorium as well. Legal conferences are a routine and very helpful in holistic development of students. Plus, there are moot court competitions and students are encouraged to write research papers. For cultural events there is an annual cultural fest at the University level which is called Anugoonj in which the students get to participate in various events such as classical music, dancing, poetry, quizzes, debates, collage making, street plays, JAMs, painting, Rangoli, clay modeling and the highlight is that there is one award for the best female and male participant who will be called Ms. and Mr. Anugoonj. Participation in sports is encouraged and there are badminton courts, cricket fields, infrastructure for table tennis and football. Last of all the placements are good and students are seen joining law firms and corporate houses. The college also provides internships to students but a large population of students is seen interested in further studies abroad and going for competitive exams for judiciary. The college is ranked 10th all over India. The total seats in the college are 80. Out of the total seats 85% seats are for Delhi candidates and 15% seats for outside Delhi students. The classrooms are air-conditioned and spacious. Also, the classrooms are luxurious with a LCD projectors and microphones for every student. The college recognizes that a library is the soul of a law college and therefore the library is constantly upgraded with new books everyday and there is room for 100 students to read inside the library all at once. The computer lab is also an integral part of the college. Moot courts are encouraged and there is a separate hall for moots. Debates and research activities are also encouraged. Students are given an opportunity to participate in Lok Adalat programs organized by Delhi legal service authority, and Patiala HC and the college also exposes students to activities such as client counseling. The college has a journal which is published bi-annually. The journal publishes articles on topics from past and present and also events that might become important in the future. The placements are remarkable and while 30-40% students go for litigation, some leave for further studies abroad, few appear for judicial service exams, and civil service exams and some join judges as judicial clerks. Good law firms come to the college to give pre placement talks and overall the scene looks promising. The college is ranked number 9 all over India. The total seats in the college are 300. 85% seats are reserved for Delhi students and 15% for outside Delhi residents. The classroom teaching is aided with excellent modern means such as smart finger touch white and green boards, projectors and multimedia equipment. For weak students there are tutorials after college hours. There are three well stocked libraries. All libraries can accommodate 200 students at a time. The college also has a membership of American library, British council library and Alliance Fransaise. There is a audio-video studio which helps students hone their creative skills. The cafeteria is good too. Last of all there is a good and very active placement cell where databases of potential recruiters are prepared and students are categorized on the basis of their competency. The college has been rated 1st among emerging law schools in the country. The total number of seats is 110. The infrastructure is good not only for regular but also physically challenged students because of the elevators and ramps. The classrooms are ergonomically designed and there is a well stocked library and there is a computer room with a seating capacity of 100. Plus there is a conference room for important meetings and activities and presentations. Then there is an auditorium. Moot courts are an essential part of the curriculum and there are personality development programs. Placement cell is active and the students have started practicing with HC and SC lawyers while some have joined the corporate sector. Some have gone for further studies abroad in US, UK and Europe while certain others have gone for judicial service exams. The total number of seats are 120. The biggest drawback is that there is no information about hostel facilities from the college. But there is a good side. Let us see what that is. The college has an active placement cell along with an entrepreneurship cell. There are a total of 120 seats. The teaching is effective and the faculty student ratio is 1:15 which means each student gets personalized attention. Not only that but the college invites technocrats and industrialists to speak with students. In addition one gets an opportunity to learn with the help of seminars, quiz competitions and cultural events. Moots are also an integral part of life at this college. Model UN is also part of the legal events. To add to this there are debates, client counseling sessions, mock mediation and socio legal work for example participation in legal aid events. The placements look good and the college helps its students get good internships which may later transform into pre placement offers if the students perform well. The total number of seats in BA.LLB are 180 and in the BBA.LLB course are 120 seats. The college teaching method includes assignments, presentations and group discussions. Plus there are tutorial classes for weak students. The college also provides its students an opportunity to work with lawyers and legal professionals. Moots are an integral part of college education here. Students are encouraged to take part in moots and debates. Students are taken to visit the Supreme court, the Delhi HC and various district courts. Not just that but the students are also encouraged to come to the aid of the downtrodden. The college is also active in sports events. There is a good cafeteria and medical facilities are taken care of. The only drawback is that nothing is said about the placements. The total number of seats is 300. The faculty student ratio is excellent and the teaching method includes practical training through moot courts, case studies, and on field projects. The classrooms are all air conditioned along with a computer room which also has a touch of luxury. The library is well stocked just like a law school library should be and there are magazines and newspapers besides law books. To unwind there is a cafeteria where the food is delicious and conditions hygienic. The college provides hostel facility for both girls and boys and each room has an attached restroom. The rooms have Wi-Fi access and the mess is really good. The college placement cell helps students get internships and the college partners with employers so that students get placed in large numbers. The total intake for the legal stream is only 60 students. There is a library specially for law students with over 20,000 books and then there are newspapers and journals. The medical facilities are taken care of. There is a gym and a yoga centre which the students find quite useful and the college encourages a healthy lifestyle. The cafeteria is good and one can unwind there. The students are also encouraged to take part in legal aid clinics and help the needy plus there are personality development classes. As far as placements are concerned the personality development classes which we talked about come into play and then there are group discussions, mock interviews, assertiveness training and decision making classes. The college boasts of great placements. But the drawback is that packages are not high and while an average package is 3 lakh the maximum package is 7 lakh. The maximum seats are 80. The classrooms are air conditioned and comfortable and the whole campus is Wi-Fi. The library is something that the college boasts of and is very well stocked. Moot courts and seminars are part of the curriculum and one can unwind when the college conducts its national and international tours. This aspect is something you will not find in any other law school. The college also encourages research papers and court visits are also a part of the course. The sports facilities are great as well plus there are cultural events. The teaching method is such that practical training, research and self study is given as much importance as class room teaching. The faculty includes advocates from the HC and SC and also retired judges from the HC and SC. Then comes the moot court room for moots which are an important aspect of studying law in this college. . When one wants to unwind one can do so in the sports and recreation room or use Wi-Fi which is available all around the campus 24*7. BA.LLB Entrance Exam total marks are 150 and there is +1 mark allotted for every correct answer and -.50 mark for every wrong answer. This covers the entrance exam and now let us look at life at Jamia Millia Islamia, Faculty of law. The college organizes and participates in quizzes and debates. The theatre events attract a huge population and are a good way to unwind. Just like every good law school Jamia too organizes moot court events and the law reform competition is such an event which the college boasts of because no other law school has ever taken such an initiative before. Research is an important part of the life of a lawyer and to inculcate good researching habit and skills in a law student the college makes a call for research papers on interesting and burning topics such as copyright law, freedom of expression, importance of science in investigation and more. Then there is a flagship journal which publishes long and small articles, notes and comments and book reviews. If we were to talk of placements then it can be said that the placement scene looks pretty promising and the college is seen boasting of its very active placement cell and claiming 100% placements. The college is ranked 25th all over India counting all law schools in the country. What is done here is that the details about entrance exam for both these universities have been given and then life at these colleges has been talking about in detail and the choice has been left with you to decide where you want to spend your long and precious five years. Make an informed choice. Good luck to all of you.